A healthy vegetarian salad for a quick lunch break or even a busy weeknight dinner. 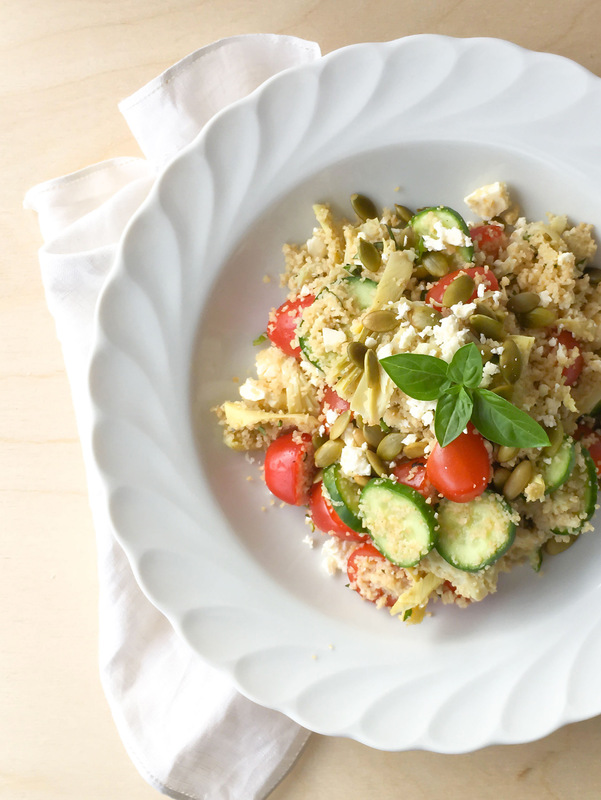 Here is my 5-minute couscous salad made with simple ingredients. Bon appétit ! In a bowl, add the couscous and the boiling water, cover and let rest for 2 to 3 minutes. In the meantime, in another bowl, add all the ingredients “FOR THE SALAD” and add the cooked couscous. Mix the salad a couple times. The salad can be kept in the fridge in a sealed container for 2 to 3 days.